I’ve always considered myself a really simple girl, I remember being in middle school and seeing all my friends experimenting with makeup, they would all wear white eyeliner (Yikes) and purple lip gloss, each nail would have one color, and I just remember glitter covering every inch of skin they could get it on. Don’t forget the strong “perfume” scent it would leave behind. I would think to myself NO WAY! As I got into high school my interest in makeup never really took off. Sure I had my makeup done for Home comings and Prom night (Those where occasions that needed it). I realized, the main reason it has never been a big deal to me was because, I didn’t know how to apply it, not because I hated it. I still consider myself very simple to this day and I still think Makeup is a bit intimidating. I have decided now as an adult to dive in more and play with colors and just experiment, though I still think I’m a beginner, I noticed I wear what makes me happy, and what I think looks good on me. At the end of the day I realized make-up doesn’t have to be hard or intimidating. It just has to be fun! With that being said today I’m bringing you a fun post on easy makeup application, and some product recommendations. Applying makeup is an art. Smooth, supple skin is your best material. To achieve this you need a moisturizer. Wash your face and the apply liberally, giving your skin a few minutes to absorb the lotion or spray. Why I recommend it? : It gives your face a radiance (not oiliness) that no other moisturizer gives. In addition to the “natural-looking glow that sinks into your skin to help your foundation go on smoother and stay better. Primer helps prepare your skin for concealer and foundation, ensuring they go on better and last longer. 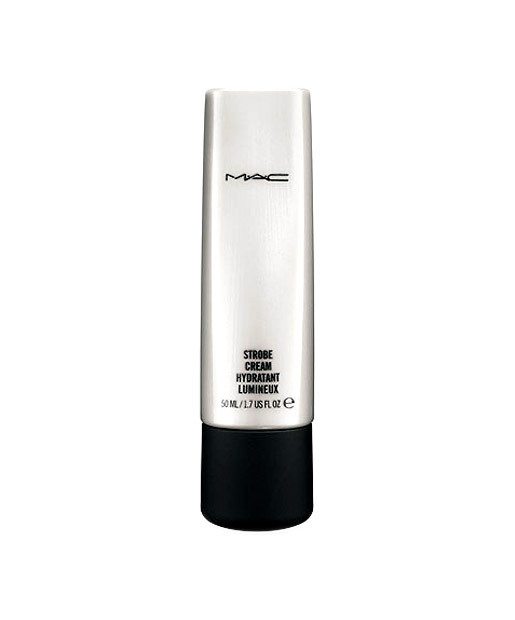 It also conceals any flaws and minimizes pore visibility. Apply on your face and neck. For lastability and all around complexion priming I love Benefit’s Stay Flawless Primer it REALLY keeps your foundation on! Use concealer to cover any blemishes on your skin. Dab it carefully over problem areas and then blend with your fingertips. Choose a concealer that is slightly lighter than your skin color. . When you need something to be covered and to STAY covered you can use Kat Von D Tattoo Concealer. It kind of smells like paint which can be really comforting or a little concerning. At any rate it won’t budge. Select a foundation that matches your skin tone. Apply it in small batches on your chin, cheeks and forehead, and then blend it to cover your entire face. Keep it even to ensure natural, flawless finish. 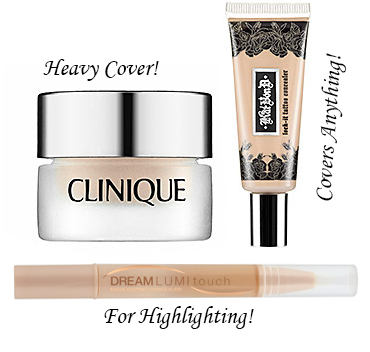 Highlighter and bronzer make your face look more sculpted and defined. Highlighter should be lighter than your skin tone, while bronzer should be a bit darker. Apply the bronzer along your jaw line and then brush highlighter around your cheekbones. Blend and apply lightly to keep a natural look. For all over color and just looking a little sun kissed Bobbi Brown Bronzing Powder in Medium is a favorite. For contouring L’Oreal True Match powder it’s a great buy because of the price. An inexpensive choice for a sun kissed color would be NYX Matte Bronzer. Add blush to give your face a pleasant glow. Locate the apples of your cheeks by smiling, and then carefully apply all the way back to your hairline. 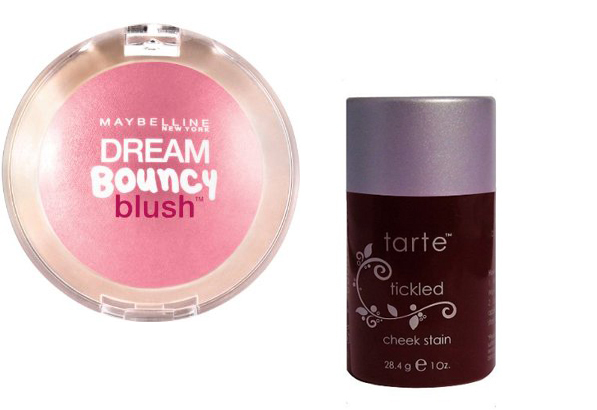 Tarte Cheeks Stains are very natural looking, they also look youthful and glowy. Every color is beautiful but Tickled/Flush is one of the best. 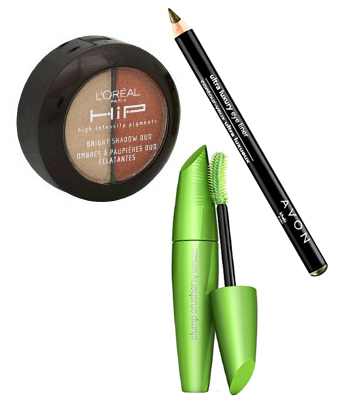 Beautiful eyes are essential-make them stand out with an eyebrow pencil. Follow the natural line of your brow using a color slightly lighter than your hair. Designed for those who feel their brows are too light, sparse, or uneven. 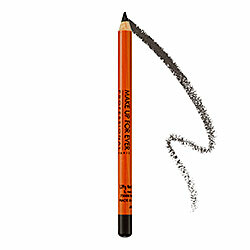 The dry, hard lead in these pencils deliver precise lines, while the highly pigmented formula ensures a long-lasting hold. Results are very natural. Give depth and definition to your eyes with shadow and liner. Use three shades of eye shadow, starting with the lightest color under your eyebrow, and then the darkest color over your lid. Blend them to avoid any obvious lines, then apply the eyeliner along the lid directly above your lashes. Use mascara to coat and separate every lash, giving them a thick, healthy look. Avon Luxury eye liner: I highly recommend this liner, stays on all night and the price is unbeatable! CoverGirl Lash Blast Clump Crusher Mascara: If you hate with a passion when clumps of mascara pile up on your lashes, then listen up! This voluminous formula and its fine-toothed-comb brush head work in tandem to kick clumps to the curb. 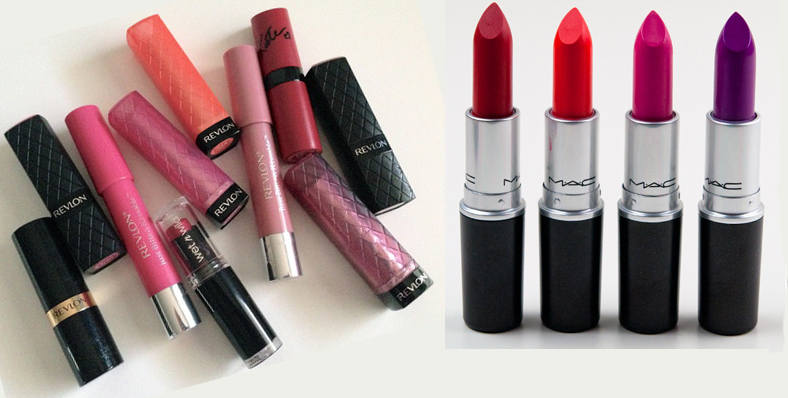 Lipstick is one of the most flexible parts of your look. You can mix and match colors based on your mood, outfit, or even the time of day. Evenly apply a coat of lipstick, then line your lips, finishing with a layer of gloss. A few easy touch ups will turn your daytime makeup into an evening ready style. Adding some blush will highlight your cheekbones. You can also try some darker eyeliner for more of a daring look. Finally, get ready to dazzle with bright red lipstick.